All the 16 winners of the Big Blog Exchange 2014 have been asked to prepare a "dare" for our exchange partner. Well, here's my challenge to my partner, Belén Palacios from Argentina. 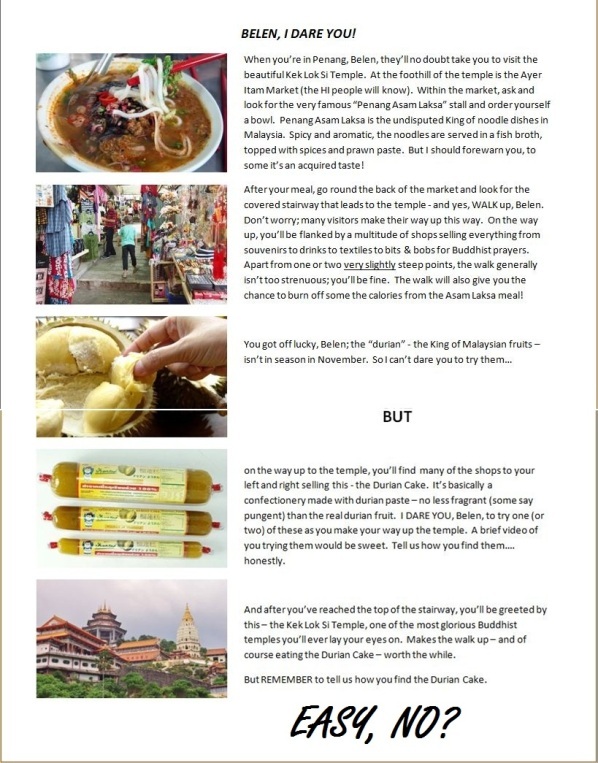 Easy; Penang laksa, durian cake and an uphill climb to Malaysia's most famous Buddhist temple. In return, this is what I got from Belén. Lest she forgets, I'm Chinese - and you know what they say about the Chinese; we eat everything! Is that the best you can do, Belén?! Seven days to go before I'm off to Buenos Aires. 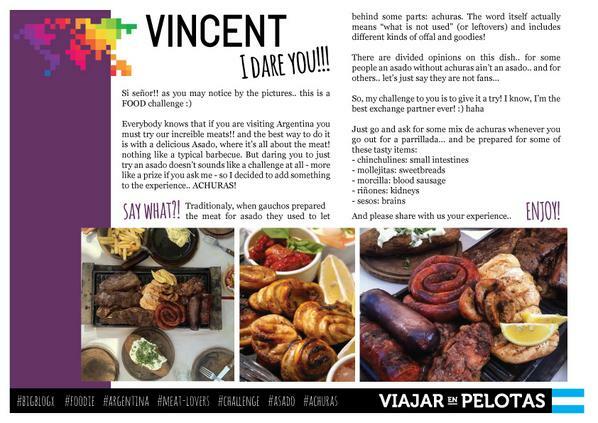 I'm definitely ready for the Asado challenge; question is, are Argentina's finest Asado chefs ready for me?! In your opinion, which one of us got the easier "dare"? Which of the two challenges would YOU rather do? So fun!! I'd prefer your challenge, Vince, because it includes some physical activity - I love exercise! Us South Africans also eat most things (including offal), so we're not easily scared with food challenges :) .